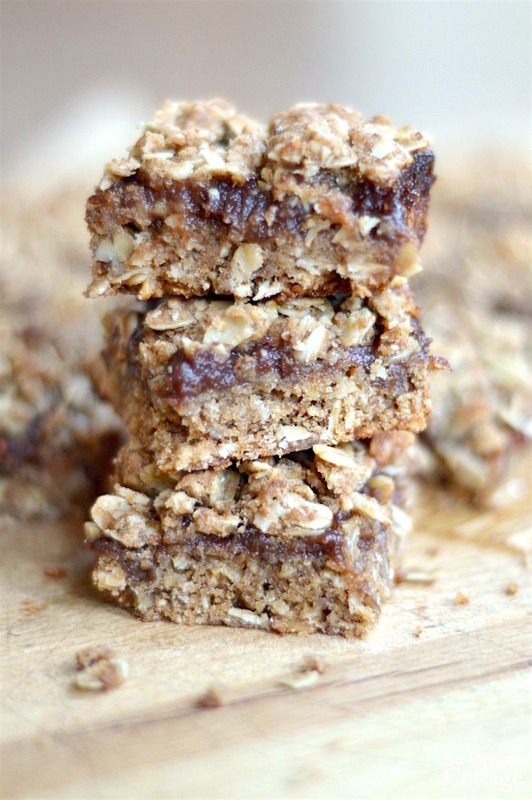 Lightly sweetened whole grain apple butter bars are made with whole oats, whole wheat flour, and delicious apple butter, making them a healthy snack. 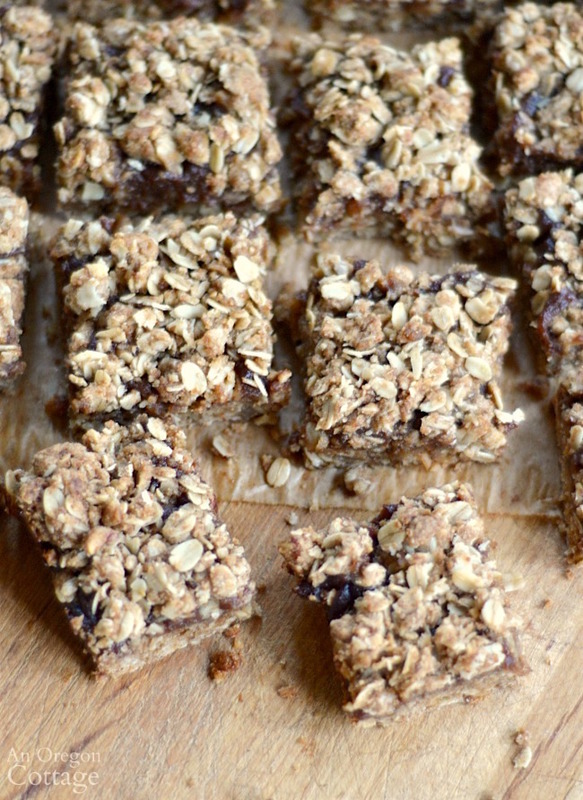 Check out the Simple Cookie Recipes page for more easy recipes! 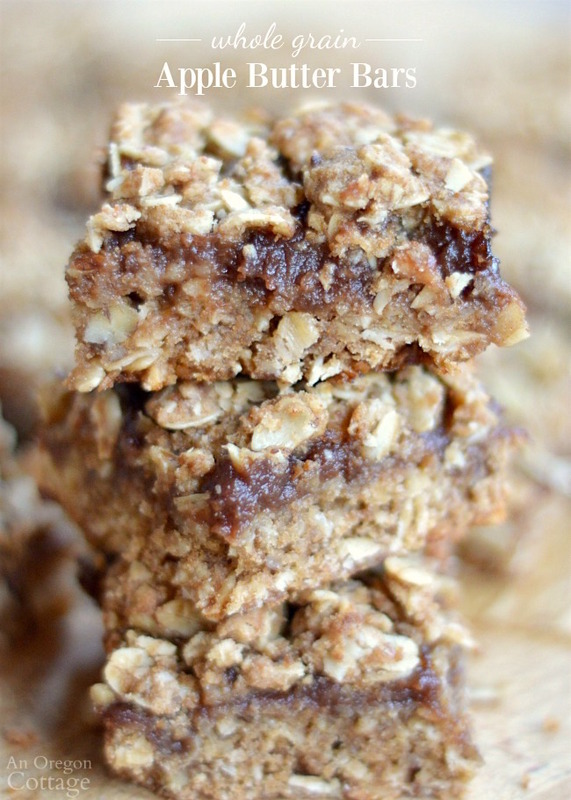 Easy whole grain apple butter bars are full of good-for-you ingredients but still taste like you’re eating a cookie, which is the best kind of a win-win, isn’t it? We like these for desserts (especially paired with a scoop of vanilla), snacks and even occasionally for Saturday breakfast. 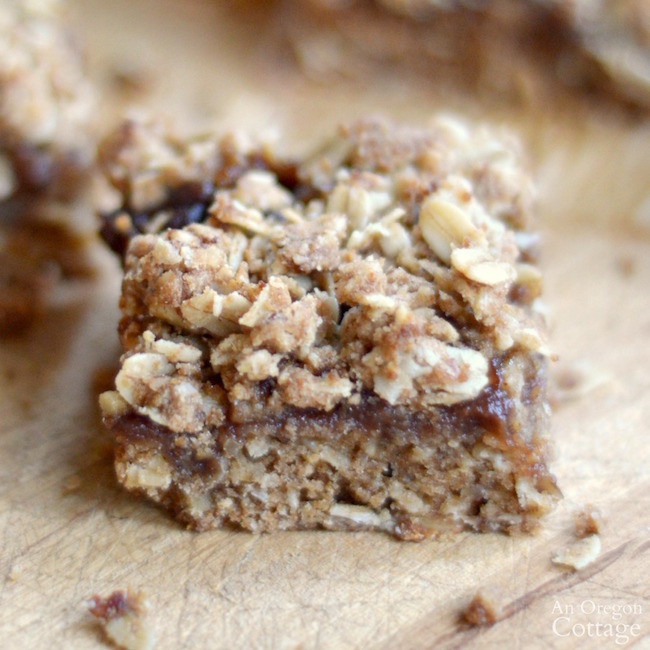 Of course fruit-in-the-middle crumb bar cookies can be made with any fruit jams or spreads. I’ve made them with strawberry, raspberry, and blackberry jams and even a version with rhubarb butter and they’re equally good. But using homemade thick and spicy apple butter that is sweetened only with maple syrup is really one of my favorite ways to make these. It’s super easy to just add all the ingredients – except the apple butter – to a mixing bowl and then stir it together until all the butter pieces are incorporated. Press about half of the crumb mixture onto the bottom of the prepared pan and evenly spread the apple butter (or jam) onto the unbaked crust. 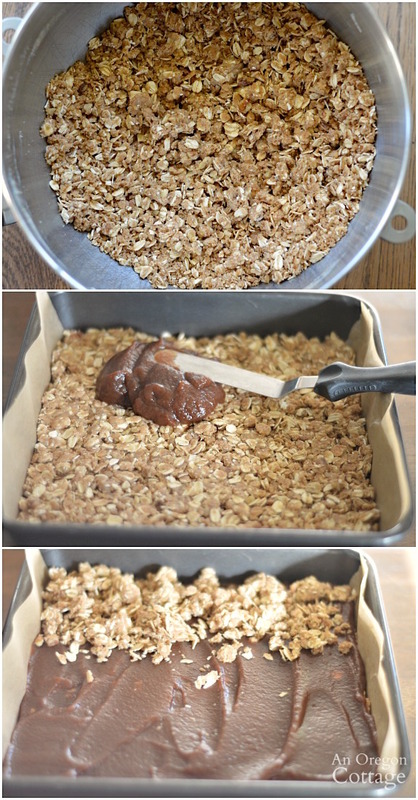 Sprinkle the remaining crumbs over the top, covering completely and pressing down lightly, before baking and cooling. 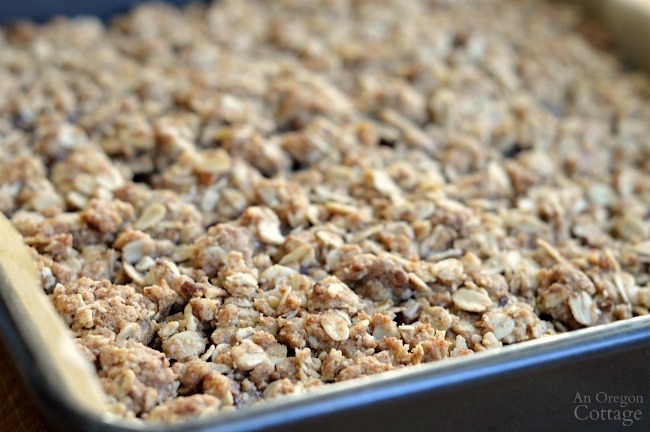 Even though these are typically considered a cookie I think they make a great homemade substitute for all those “fruity” (I use the word loosely here) granola bars sold in the stores because they are made with much better ingredients (like you can pronounce them all…). This is a truly healthy snack right here. You can even wrap them individually and freeze them and if you put them in the kid’s lunches in the morning, they will be thawed by the time lunch rolls around. And you will know every good ingredient in them and feel good about serving them any time.